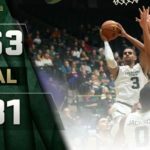 Despite an inconsistent performance and a small home crowd, 5280 Sports Network's Rich Kurtzman says there were some bright spots in CSU's 23-14 win. 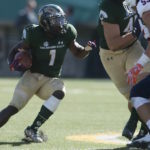 The Colorado State Rams fell to 5-5 (3-3 Mountain West) on the season with a heartbreaking 49-46 loss to the Air Force Falcons in Colorado Springs. 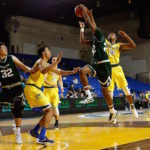 Colorado State couldn’t slow down Cal State Bakersfield’s hot first half and fell to the visitors, 81-63, in the second round of the NIT. 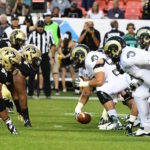 The Colorado State Rams fell to 0-1 on the season following a 44-7 loss to the Colorado Buffaloes on Friday night in Denver. 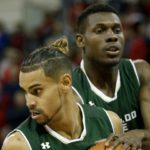 Can Colorado State win an NIT championship? 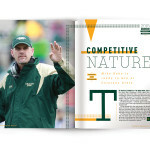 It's possible, and there are some awesome matchups they may face along the way. 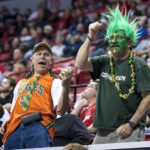 Colorado State men's basketball released their conference schedule and they are looking to have a successful season. The Rams improved to 10-6 on the year and 2-1 in conference play, while the Spartans fell to 7-6 and 0-2 in the Mountain West. 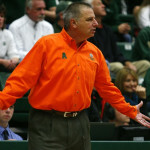 CSU placed Eustachy onto corrective action, instituting a zero-tolerance policy. Still, the consequences could have been much more severe.